The 2018 Rotorua Sculpture Symposium begins this Friday (16 November 2018) as sculptors from all over New Zealand converge on Rotorua. Located outside The Arts Village (1240 Hinemaru Street) sixteen talented sculptors will spend ten days carving and sculpting pieces relating to this year’s symposium theme Ngā Wai o Rotorua – The Waters of Rotorua. 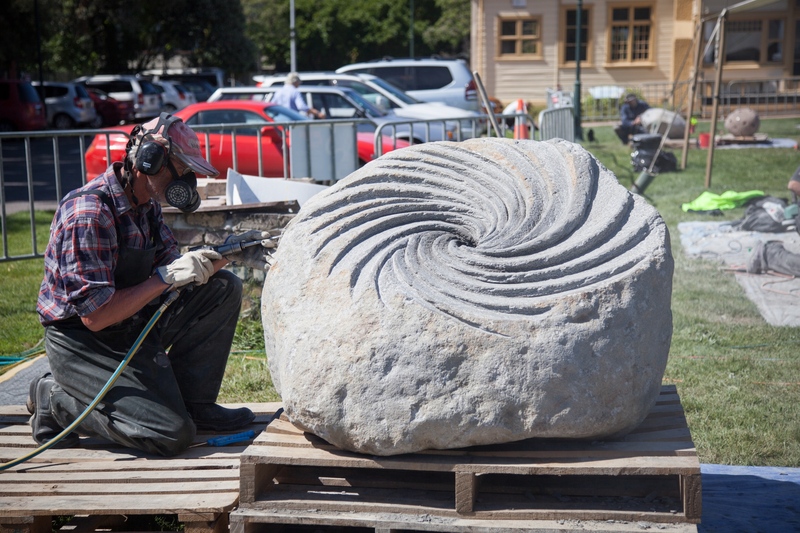 The sculptors choose the material they carve with from Oamaru stone, Taranaki andesite or macrocarpa, with some combining several of the materials into their final design. Rotorua locals are invited to come and watch as large boulders and logs are transformed into unique sculptures that will be placed in the Sulphur Lake Sculpture Trail for people to enjoy for years to come. Symposium organiser, Rotorua Lakes Council Public Art Advisor Marc Spijkerbosch, has run the biennial event since its inception in 2014 and is impressed with the depth and breadth of talent that applies to participate. “The symposium is a forum for sculptors to share ideas and techniques. It’s fascinating to watch these works of art evolve from a variety of raw and rugged materials. Once again, the sculpture symposium promises to be an event not to be missed”, says Mr Spijkerbosch. The symposium opens on Friday and carvers work through the weekend and following week to complete their sculptures. On Sunday 25 November tools are laid down and judging begins for the Supreme Award winner who receives $10,000. The winning piece becomes a permanent part of Rotorua’s public art collection. For more information on the 2018 Rotorua Sculpture Symposium follow on Facebook. View artists profiles on Creative Rotorua.